From features and function to durability and efficiency, Dimension One Spas are in a class all their own. Dimension One Spas have been the leader in the design and manufacture of premium hot tubs since 1977. What other companies consider innovation is old hat to D1. Let’s talk about just a few of the features that set D1 apart from the crowd. D1’s exclusive UltraLife shell, developed in partnership with Bayer®, yes the Bayer®, has superior resistance to the effects of sunlight, chemicals, and weathering, making D1 the obvious choice for those who want the most durable spa on the market. The UltraLife shell is easily maintained, doesn’t require special cleaning solvents, and blends easily with any décor or ambiance. The UltraLife shell is the only spa shell that carries a Lifetime Warranty on its structure and surface. D1’s patented Jet Therapy pillow provides you with the only adjustable neck and shoulder massage system in the industry. With multiple positions to choose from, you can get the perfect massage whether you’re 5’2” or 6’6”. The Jet Therapy pillow also features four powerful jets placed in a curved, padded head cradle for ergonomic support. With the Dynamic Massage Sequencer, you can choose from six pre-programmed massage sequences that turn an ordinary hot tub soak into an extraordinary, full-body hydrotherapy experience. This digital control panel includes an active therapy display, pause control for specific pain areas, speed control to adjust your sequence time, and silent valve operation for a peaceful experience. Come visit us to see and feel the D1 difference. We’ve got luxurious D1 Bay Collection hot tubs ranging in size from 2 seaters to 8 seaters! We’ve also got the all business, Hydronomically designed D1 Reflections Collection hot tubs here for you to test. Hot tubs help reduce stress, symptoms of arthritis and fibromyalgia, help improve sleep quality, blood pressure, and expedite the body’s healing process. 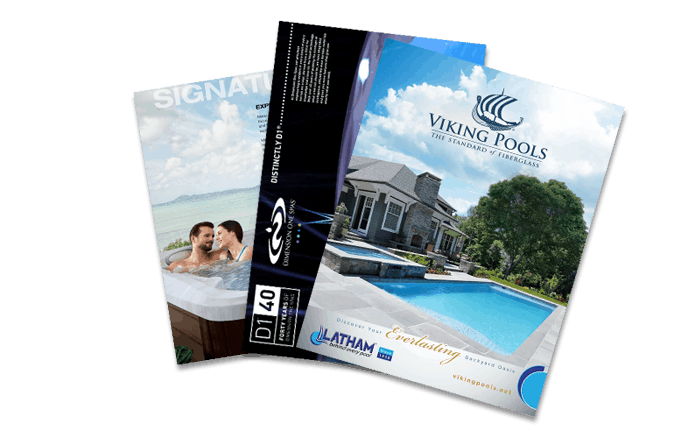 D1 hot tubs are designed to not only be a relaxing retreat, but also a focal point for backyard entertainment. From the high performance marine grade speakers to the variety of fountains and dynamic light shows, your D1 spa will become a work of art that can light up the night. What are you waiting for? Visit Aqua Pools today.